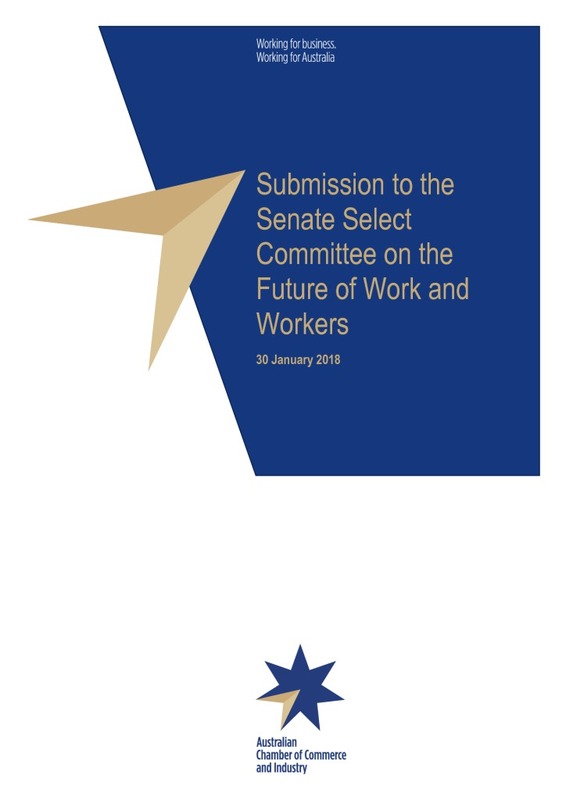 The Australian Chamber of Commerce and Industry, Australia’s largest and most representative business organisation, has approached this inquiry from the perspective of the foundations businesses need to survive and thrive in the modern, global economy and therefore generate and participate in paid work opportunities. We have also tackled the question of the policy settings needed to ensure Australia will be an attractive place for investment and employment in a global marketplace, creating flow-on business opportunities for SMEs, local jobs and revenue for the benefit of the community as a whole. Any consideration of the future of work in Australia must be predicated on supporting the future for doing business in Australia. Our working future and the jobs we can generate for today’s young people and generations to come, will be a function of the foundation we provide for business to successfully navigate changing markets and a globalising world.